Blue Line MetroLink riders may want to allow a few extra minutes for their commutes next week as maintenance work along the light rail system may result in brief delays. Monday through Friday (October 2-6) from 8 p.m. until the end of service, MetroLink will operate on a single track at the Sunnen and Maplewood-Manchester MetroLink Stations to allow crews to perform track maintenance. Blue Line MetroLink passengers may experience delays of up to 5 minutes. 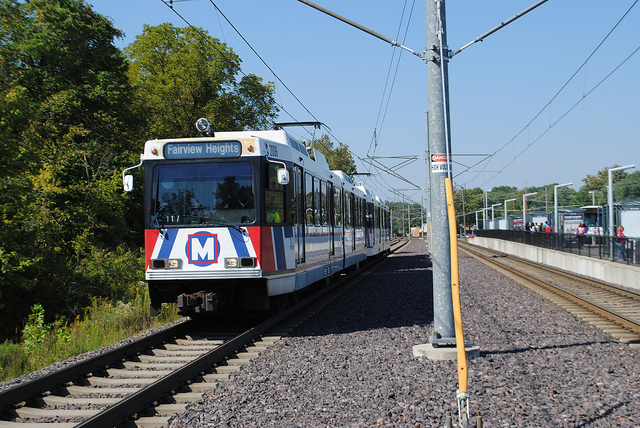 On Saturday and Sunday (October 7-8) from the beginning of service until the end of service, MetroLink will operate on a single track at the Sunnen and Maplewood-Manchester MetroLink Stations to allow crews to perform track maintenance.